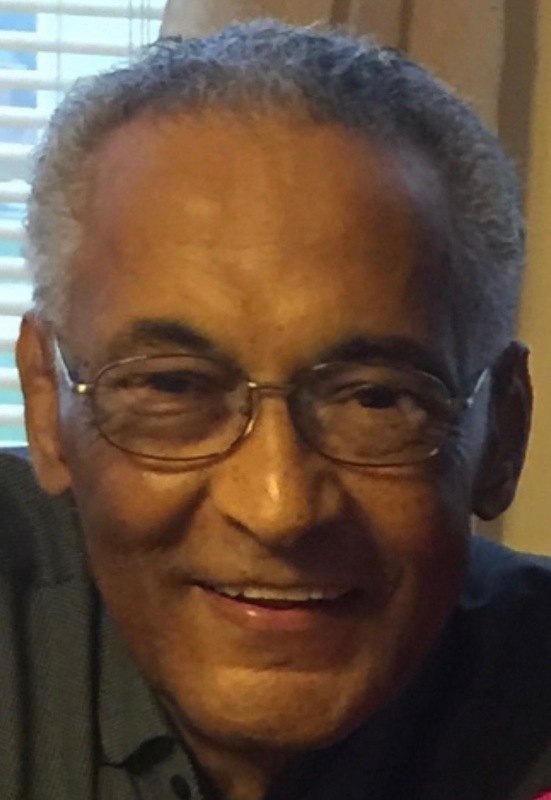 Charles “Butch” Jordan age 74 of Charleston, WV passed away on Sunday, February 3, 2019. He was born February 26, 1944 in Charleston, WV to the late Armstead Jordan and Esther Lee Hairston. Butch Jordan graduated from Charleston High School in 1962. He served his country proudly in the US Army as a Sharpshooter and receiving a Purple Heart Medal during the Vietnam War. After returning home from Vietnam he became a Deputy Sheriff for the Kanawha County Sheriff Department. He later went on to be a Marketing Executive. He was a loving father to his daughters Yvette Denise (Daniel), Esther Renee (Christopher), Danielle Elizabeth (Teddy) and Ashley Nicole. Cherished grandfather to Teddy III, Nerissa, Arielle and Joshua. Charles “Butch” Jordan prided himself in his appearance and is well known for his keen fashion sense. He enjoyed being the center of attention, spending time with family and friends and LOVED playing bingo and poker! He is survived by his daughters, grandchildren, brothers, sisters, nieces and nephews, as well as loving cousins and cherished friends. A Service to Honor the Life of Butch will be held on Monday, February 11, 2019 at 12:00 pm at First Baptist Church, 432 Shrewsbury Street, Charleston WV. Family and Friends may visit at the church one hour prior to the service. He will be buried in Donel C Kinnard Memorial State Veterans Cemetery with a repass to follow at First Baptist Church. Pastor Paul Dunn will officiate the ceremony. All are welcome to attend and celebrate Charles “Butch” Jordan’s life. Memories of Butch may be shared by visiting snodgrassfuneral.com and selecting the obituary. Snodgrass Funeral Home is assisting the family with these arrangements. To the family of Charles “Butch” Jordan. My Prayers and Duas are for you in your time of uneasiness. May God grant you peace in your heart. I am so very sorry for your loss. My thoughts and prayers and prayers are with you. To my beautiful cousin Ashley I am so sorry for your loss. We send our love and prayers. Uncle Butch will be dearly missed. We love you. We are so sorry for your loss. Uncle Butch will be dearly missed. We send you our love and prayers. We love you. Tremaine, Taja and Aunt Irene sends out love to you and the rest of your father’s family. I’m sure you will miss him dearly. Butch is sleeping until the day he will be awakened John 5: 28 and 29. REVELATION 21:1-5. assures us. Our prayers are with you. May our deepest sympathies bring you comfort and may our prayers ease the pain of the passing of your father. We love you and will be with you every step of the way doing this time of sorrow. I was sorry to hear the sad news of the passing of Butch. He was good friend and always there for you. R.I.P. Your father loved each of you. He will forever be reflected in each of your beautiful faces. I am truly sorry for all of your losses. I love you all. I am so sorry for your loss. I remember your father had a wonderful sense of humor. He will be missed. You and your family are in my prayers. My deepest condolences to my cousins and my family. I am so sorry for our loss. He was a very good man and he will be deeply missed. You and your family are in my prayers. My condolences to the family and friends. Uncle Butch was a good man who treated me well and taught me a lot about life also to roll with the punches he will be deeply missed and always loved. RIP Uncle Butch I know you are in a better place your nephew. I am sorry for your loss. His memory will live on forever in each of your beautiful faces. I’m sorry I can not be with you and for him, but my thoughts are filled with hope and love for each of you. But those who wait for the Lord will renew their strength. They will run and not be weary. I’m thinking of you (Ashley) during this time. Please accept my deepest empathy. May God ease this painful period for you, and allow yourself to lean on the Lord for strength and comfort in this time. I’m so sorry for the loss of My Special Friend and your Love One. May God Bless and Keep your Family at this time of Sorry.